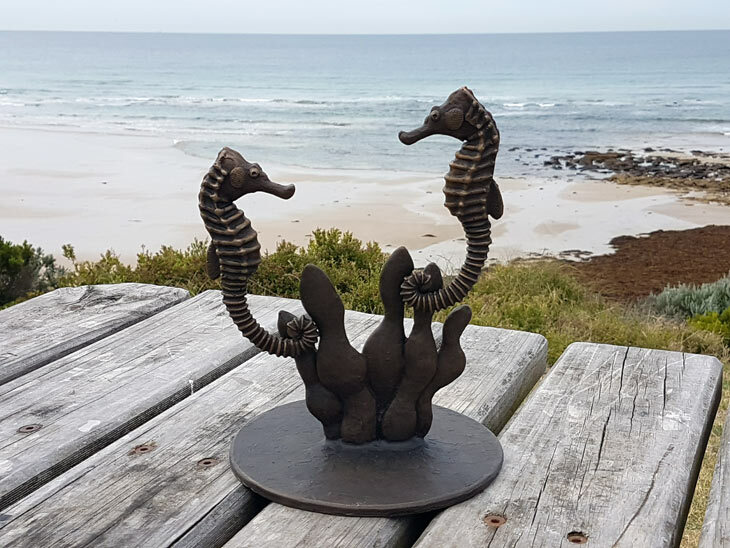 It is always such a treat to see Seahorses in the sea and they are not always that easy to find. They are without doubt some of the most unusual little creatures and are quite beautiful. Our aim was to capture this natural beauty in this sculpture which is a perfect size for an indoor/outdoor table.